Handling a rubbish clearance in Pimlico, SW1 can be tough. It is a process that requires more work and time than you would expect. 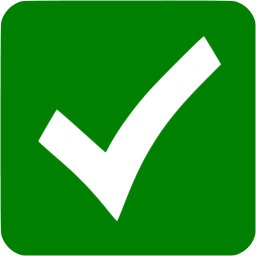 You have to manage countless tasks and chores in order for it to go well. You will look through your entire abode, looking in every cupboard and corner, to find useless and unwanted items. Upon discovery, these will have to be sorted, taken apart and broken up. Shifting them through your abode can be tough because some goods will be large and heavy, making it difficult to get them through doors or down stairs. You will need vehicles capable of fitting everything inside and then take it to an appropriate disposal site. This can be a lot of work to handle but with a little help, it can be a breeze. 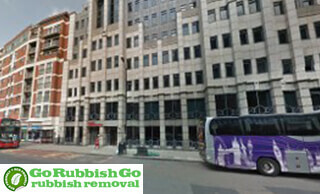 For expert Pimlico waste removal support, contact Go Rubbish Go now. Get in touch with us on 020 8610 9182 and ask about our top quality services. All of your old goods, such as furniture, electronics, appliances, toys, clothes, files, litter, builders waste and more can be handled by our top SW1 waste clearance teams. Our leading team can come to your address around W1 and handle all the work for you. Each step will be covered by them so the job is done quickly and safely, while you sit back. Our waste disposal SW1 services can cover more than just a home clearance, but also a commercial clearance, builders waste disposal, garden waste removal, and much more. We can also provide skip hire, allowing you to sort goods yourself, but have them collected by us. We offer these services at affordable prices. So call now to find out more! Rather than doing all the work yourself, our team will handle everything. They will arrive in SW1 with all the best tools and equipment, so they can make the job easier. They will work fast, but carefully, so all of your unwanted items are taken from the building without any damage or injuries. We will take things away to be destroyed or recycled in rubbish disposal Pimlico sites. We will work with local firms to ensure that everything is done correctly and legally. We follow all environmental guidelines when disposing of your goods. Wanted to get rid of an old TV and a few other smaller electronic devices that didn’t work anymore, but I knew there were some regulations in place for the disposal of that sort of stuff in Pimlico. So, to be on the safe side, I hired this firm and left the W1 waste disposal to them. They did everything in compliance with the rules in SW1, and they charged a pretty affordable price too. I’m happy my old electronics will be recycled and won’t harm the environment. Call Upon Our Pimlico Waste Disposal Services To Declutter Your Home! 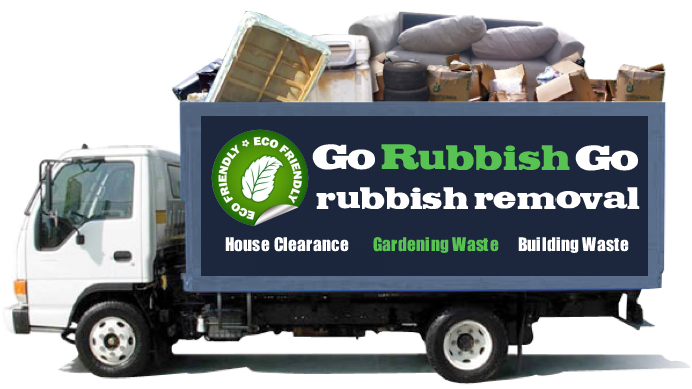 If you’ve replaced your old furniture items and are having trouble getting rid of them, Go Rubbish Go can provide you with a perfect solution to your problems. 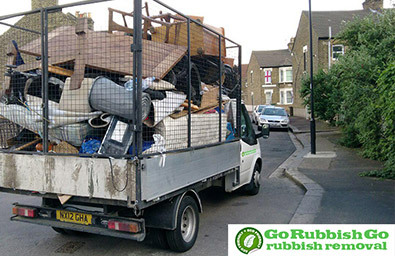 Our Enfield rubbish removals are available for hire to all those in need of a quality and dependable team of rubbish disposal experts. We know what to do with large items of furniture, different materials, rubbish and waste. Furthermore, our team will get to work, move the unwanted items out of your house and dispose of them in the appropriate manner. Leave all the hard grafting to us. You can just sit back, relax and think about what you’re going to do with all that extra space! Book The Number One SW1 Junk Disposal Service! Ensuring you get a good deal is important to us, and that is why we supply free quotes. Our estimates will need no commitment, so there is no risk in asking for one. You can tell us what you need and we will learn about the clearance at hand. Once started, we will present a quote that you can accept or reject. If it isn’t to your liking, you can get another, more appropriate quote. 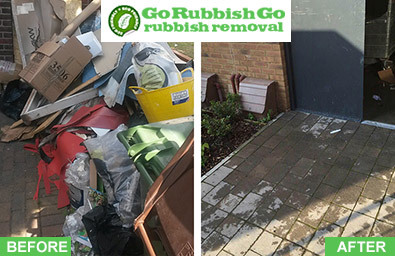 We can provide this when you call 020 8610 9182, so get in touch with Go Rubbish Go today for help with your rubbish clearance in Pimlico. Pimlico is within Central London and a part of the Borough of Westminster. It uses the SW1, SW3 and W1 postcodes. It is bordered by the River Thames, Vauxhall Bridge Road, Grosvenor Canal, Victoria Railway Station and Belgravia, Chelsea, Battersea, Clapham, Westminster and St James’s are nearby. Local postcodes include SW1X, SW1W, SW4, SW8, SW9, SW11 and SW12. The history of the area dates back to the 16th century when the local manor was split by the Crown. The area would develop from here and become a busy political centre because of its proximity to the Houses of Parliament. The Tate Britain gallery can be found here and is home to many works by J.M.W. Turner. Dolphin Square apartments are home to many MPs. Other notable landmarks in Pimlico include The Empire Terminal building and the Churchill Gardens.